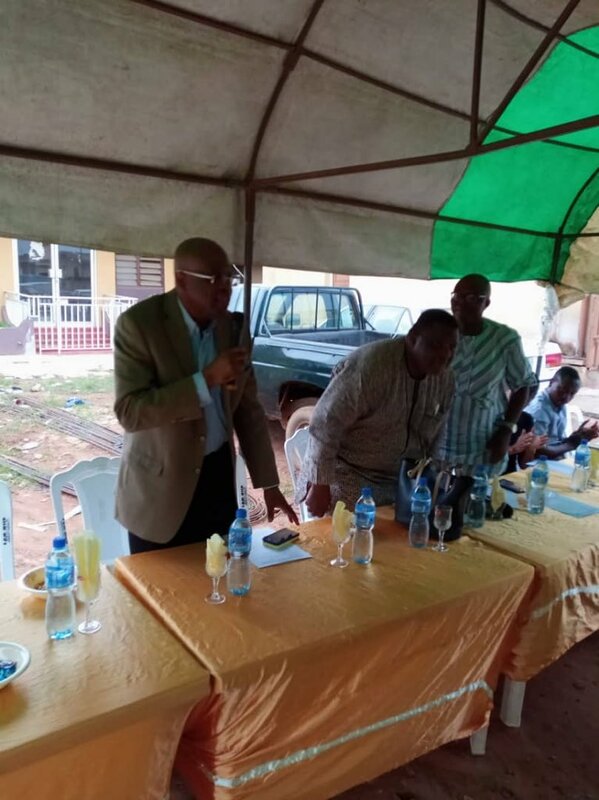 Learned Silk, Paul Usoro held an interactive session with Members of the NBA Sagamu Branch on Tuesday. The well attended session dealt with issues around the welfare of young lawyers, protection/promotion of the rule of law and many more. During the session, Paul Usoro SAN summarized the challenges around the welfare of the young lawyers into three factors; Greed, Economic and Lifestyle (lack of financial orientation). “We talk about Continuing Legal Education without talking about law office management and financial education for lawyers to help our understanding of the law practice business. I see no reason why senior lawyers should be greedy. Having practiced what I preach since 1984, I believe I have the moral right to address my colleagues. I assure you that all I have spoken about, I have the capacity to do, because at some point in my career, I have had to practice them,” Usoro said. He also explained the need for the NBA to regulate the practice of law by protecting the business of law for lawyers. Speaking on the issue of public interest and protection/promotion of the rule of law, Usoro explained that there are so many things the government characterize as unlawful activities which are in reality not unlawful. He used the BVN as a case study. “I could talk about the BVN suit where the government says accounts without BVN contain proceeds of unlawful activities. That is not howsoever true”. The interactive session was quite enlightening with the participation of several key members from the association led by the branch Chairman, Prince Deborah Oduguwa, to proffer solutions for the benefit of the Nigerian Bar.